Beautifully maintained 3 bedroom split located in desirable Hamilton neighborhood! 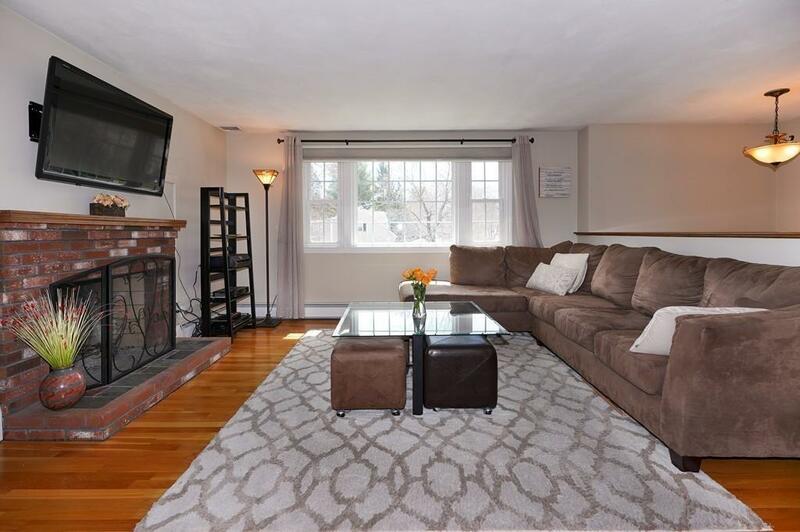 Generous size living room with fireplace, pretty bay window is open to formal dining room. Renovated cabinet packed white kitchen w/gas cooking, granite counters, stainless steel appliances & breakfast bar. Formal dining w/slider to freshly painted deck. Main bath renovated w/ new vanity, ceramic tile & granite counter. 3 generous size bedrooms & nice size master that is en-suite. Gleaming hardwoods main floor. 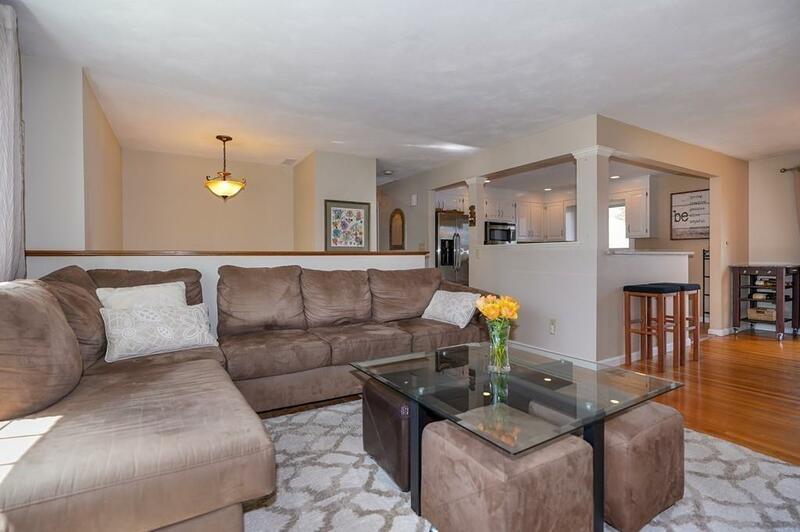 Lower level includes huge family room w/ fireplace, laundry & home office or storage area. Lower level plumbed for bath. Fresh interior paint! . Roof replaced 2009. All windows replaced 2015 & central air installed 2010. Low maintenance vinyl siding & new garage doors 2018. Sit on your deck over looking gorgeous landscaped private lot with many perennials the seller has painstakingly planted, blooms from spring to fall. Close to major highways, great shopping & Wegmans. Excellent rated schools! 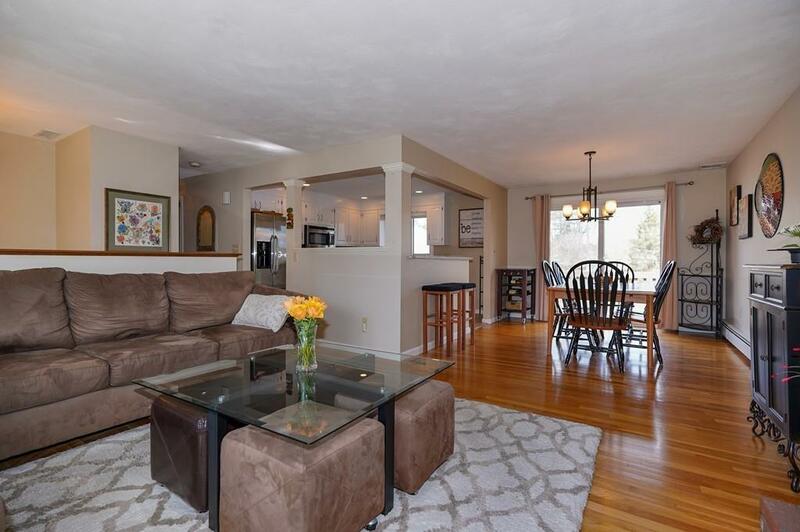 Listing courtesy of Karen Scopetski of Coldwell Banker Residential Brokerage - Northborough Regional Office. 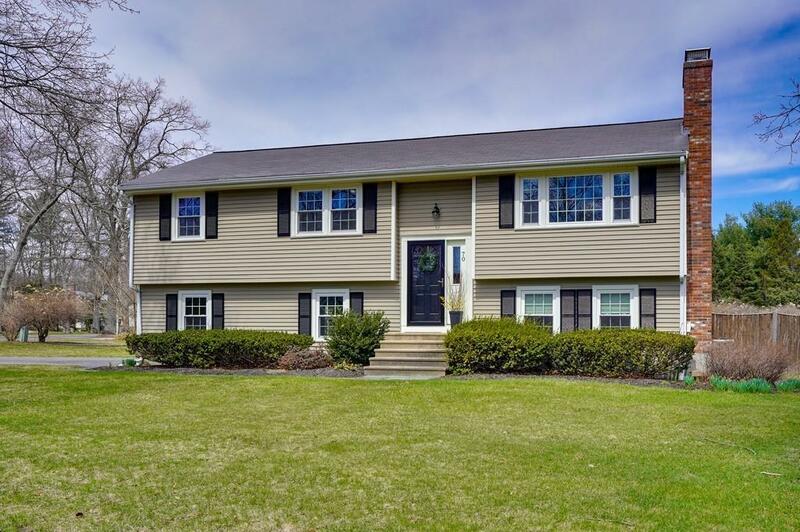 Listing provided courtesy of Karen Scopetski of Coldwell Banker Residential Brokerage - Northborough Regional Office.